VIF, s.r.o. - Praha 5 - Manufacture and sale of additives to fuels and heating oils. We produce diesel additives with summer and winter additives. Additives improve fuel burning and reduce consumption. Additives extend life of the engine and fuel system. You will find a detailed description of these products on our website. 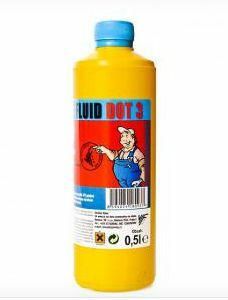 We offer petrol additives. 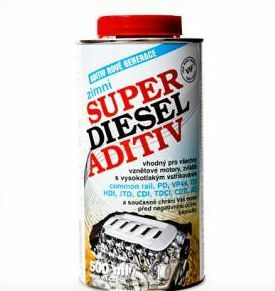 Namely SUPER BENZIN ADITIV, which reduces consumption due to the lubricant additive and the second type BENADIT FORTE, intended for unleaded petrol only. Petrol additives protect the engine from the bio-component effects. 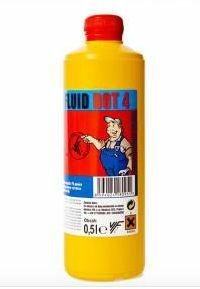 We distribute coolants to protect all engine types from corrosion, overheating and freezing in winter. Type ANTIFREEZE BC for both passenger cars and trucks with aluminum and cast iron motors, type ANTIFREEZE D, suitable for all types of engines. Choose from us a mixture of SUPERVID washers of various designs, with freezing capability to high degrees of freezing. We also offer SUPERVID summer. All these spray mixes have anticorrosive effects, and are removing dirt from both glass and insects. We develop and sell high-quality and highly efficient car care products. These are car shampoos, glass cleaners and de-icing agents, insect repellents, plastic or engines cleaners, etc. An interesting product is also a hand cleanser. Our product range includes brake fluids, which are characterized by high quality and anticorrosive effect. They have considerable temperature stability. Our brake fluids are designed for all types of cars and trucks. Try them out.